So the thing is that we are quite outdoorsy people. We rather walk around in a city instead of visiting museums or exhibits. But that doesn’t mean we don’t like museums, usually it’s just a question of time. If we spend only a couple of days in a city, we don’t want to go from one museum to the other instead of actually seeing the city. So we usually pick one museum (if any) which seems the most exciting and spend some time there. And that is usually a natural history or science museum. But it was different in Budapest. Not only because we live here currently and have more time to explore the city, but also our ‘first pick’ museum is a very different kind. It’s the House of Terror. 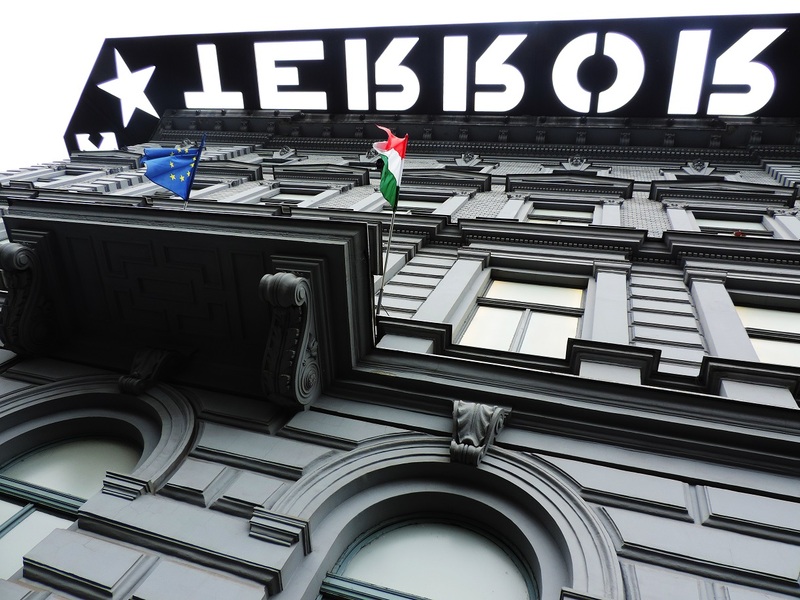 Why House of Terror is worth a visit? Not a pleasant name for a place, right? But sadly it’s an authentic name. 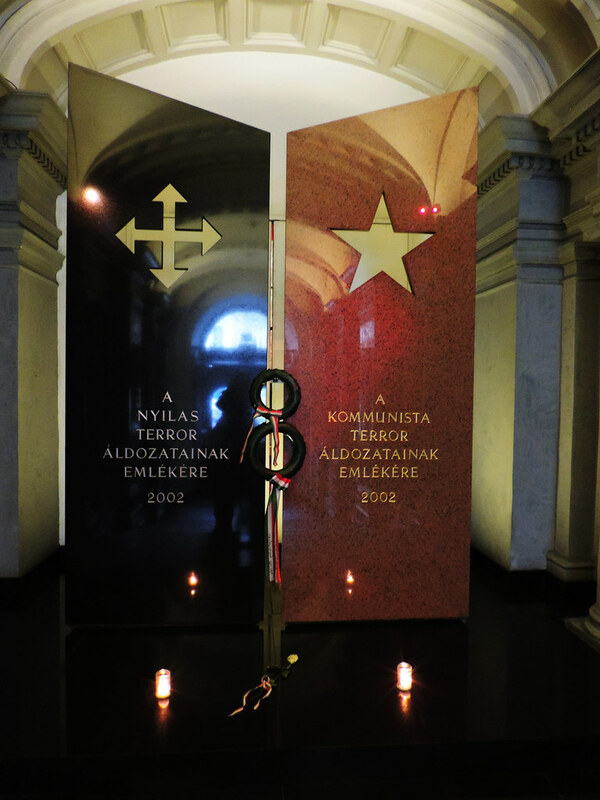 The exhibits in the House of Terror are related to the fascist and communist dictatorial regimes in the 20th-century Hungary. 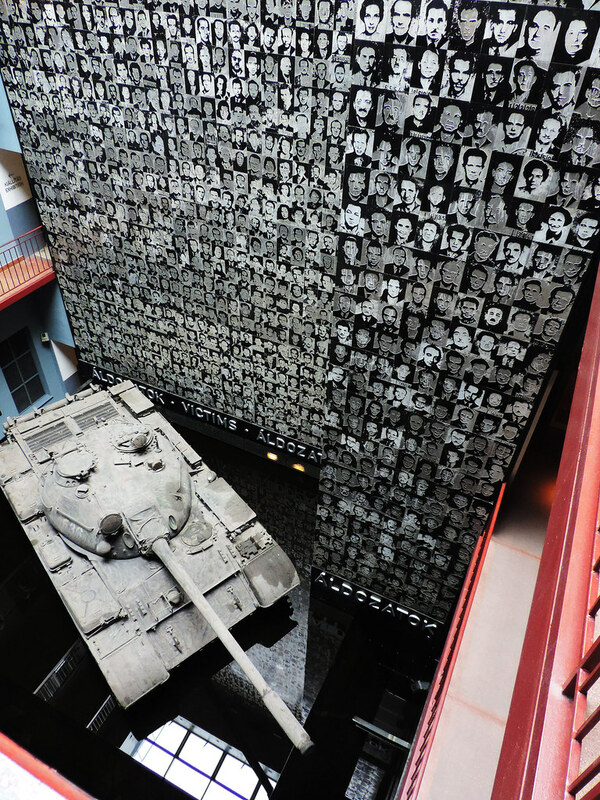 Also, a lot of victims of these regimes were detained, interrogated, tortured or killed in the building what is the House of Terror today and it’s also a memorial for them and for all of the victims. As you might guess it’s not a happy place to visit and this museum won’t entertain you. We have visited it because we believe it’s important that we know our history and that we should be aware of what has happened in the past. Because understanding of the past is key to understand the present. But can we understand how it could have happened and how to avoid such terrible things ever happening in the future? There’s no clear answers, neither guarantees. But still this museum gives people a chance to understand a lot of things and to reflect on the past. And what is maybe more important: the strongest message we got was that not acting against cruelty is kind of being part of it. A lot of people were tortured and killed because they raised their voice against cruelty or just tried to stay human during these inhuman regimes. And even more people were against these regimes, but they were silent, because they were scared. What could have happened if all of them would have raised their voices? It’s not that we judge everyday people of that generation – who we are to do that after all? It’s about us: are we always brave enough to stand up for what we feel is right? Because it could make a difference. This museum also made us realize that our history depends on each of us. It doesn’t matter whether we like or hate politics, but not being part of it and not making decisions when we have a chance is also a decision. What are the exhibits like? House of Terror is not like a history book full of long descriptions and all the dates and numbers related to them. It tries to educate us with real stories from real people and I think it’s doing a good job at that. There’s brief descriptions about the facts in each room, but there’s a lot more videos and also letters, newspapers and recordings from the news of that period. Also, people and their families tell their stories about those times. 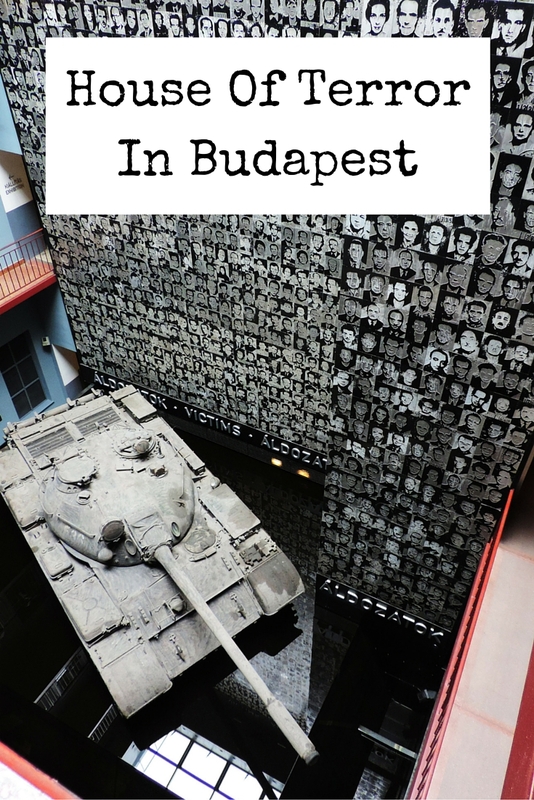 The museum covers the almost one year of fascist and the 40 years of communist regime in Hungary. The exhibition starts on the second floor and there’s rooms featuring the time of war, the gulag, occupation of Hungary by the Nazis and then by the Soviet Red Army and the coming 40 years until the last Soviet troops left Hungary. Several rooms feature the different aspects of life during communism: political police and deportation, propaganda, justice, everyday life, the revolution in 1956 and the retaliation and emigration after that. Some of the prison cells in the basement are reconstructed and can be visited as well. I think showing these different aspects is a very good idea and in this way the museum not only shows the tragic events of the past, but also the bitter tragicomedy of dictatorships. Another specialty of House of Terror is that it’s about both of the 20th-century dictatorial regimes – fascism and communism – and this gives the chance to show how similar actually these regimes were: the same inhumanity but with different theories behind them. This museum is one of the youngest and most modern ones in Hungary and what we loved the most is that it brings history close to us. 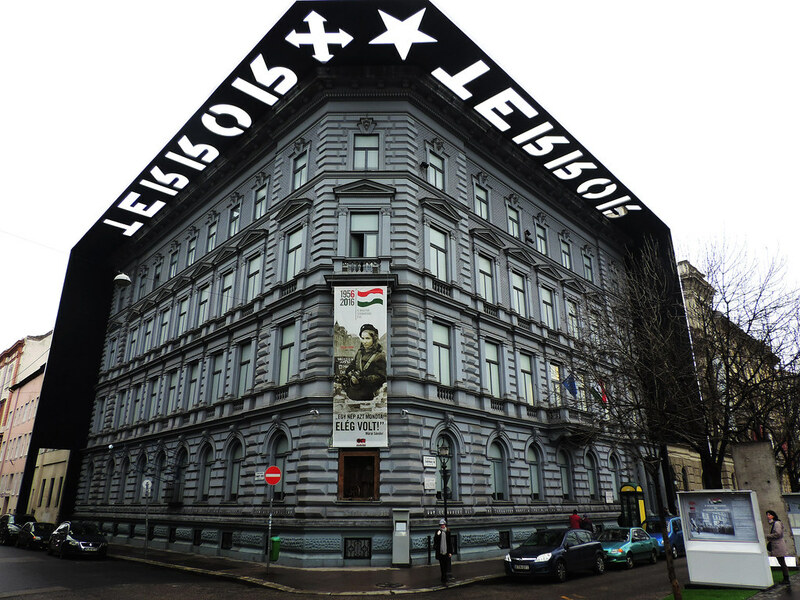 House of Terror is located at Andrássy Avenue 60 and this area is definitely worth a visit even if you don’t want to visit the museum, because Andrássy Avenue is part of Budapest’s UNESCO World Heritage sites. The museum is quite prepared not only for Hungarian but also for international visitors. All the information is available in English and the videos have English subtitles as well. And for those who are worried that one can only find stories about torture and things that were used for torture in this museum, I can assure you: it’s not the case. Of course, this museum is about terrible times, but I think it’s main goal is not to horrify you, but to help you understand this part of our history. Well, this post happened to be quite serious, but I can’t help it… This place made us think about serious things. And we will maybe start looking for other interactive history museums. Do you have any suggestions about exciting history museums in Europe? Please note that this is not an advertisement and we were not compensated for this post. Opinions expressed are solely our own as always.